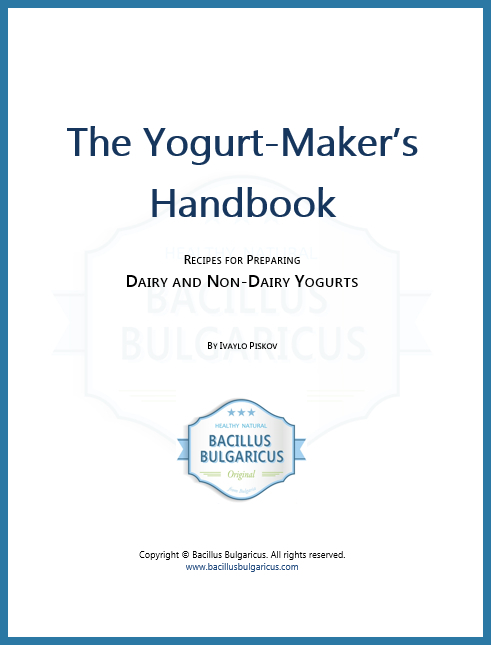 It is super easy to make your own yogurt, kefir, Bulgarian sirene and Bulgarian kashkaval using our Bacillus Bulgaricus starter cultures. All you need is a pack of our starter and milk. You can use any kind of milk you want — cow’s, sheep’s, goat’s, skim, whole, raw, pasteurized, dairy or non-dairy, it always works! Just avoid using ultra-pasteurized or UHT milk because the taste of your yogurt, sirene or kashkaval won’t turn as good, it would be a bit bland. If you have an yogurt maker, and would like to use that instead, then simply follow the instructions that came with it. See below for detailed how-to making instructions. It is super easy to make your own yogurt using our Bacillus Bulgaricus yogurt starter. 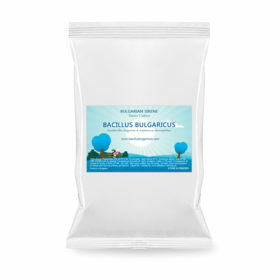 Making your own kefir using our Bacillus Bulgaricus kefir starter is even easier than making yogurt. It is easy and quick to make Bulgarian sirene using our Bacillus Bulgaricus Sirene starter culture. It is easy to make Bulgarian kashkaval using our Bacillus Bulgaricus Kashkaval starter culture.